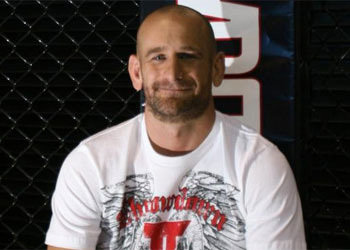 Greg Jackson is one of MMA's top trainers. His stable includes champions Georges St. Pierre and Jon Jones, among many others. Greg is also one of the instructors at TapouT VTC, an online training center that offers training videos from over 25 MMA pros like Matt Mitrione, Ryan Bader, Pat Barry, and a ton of others. They also have fitness plans, nutritional tips, exclusive interviews, etc. In the following videos, Greg Jackson teaches you how to armbar an opponent from your guard, and how to sweep or submit someone with an omaplata. Enjoy!